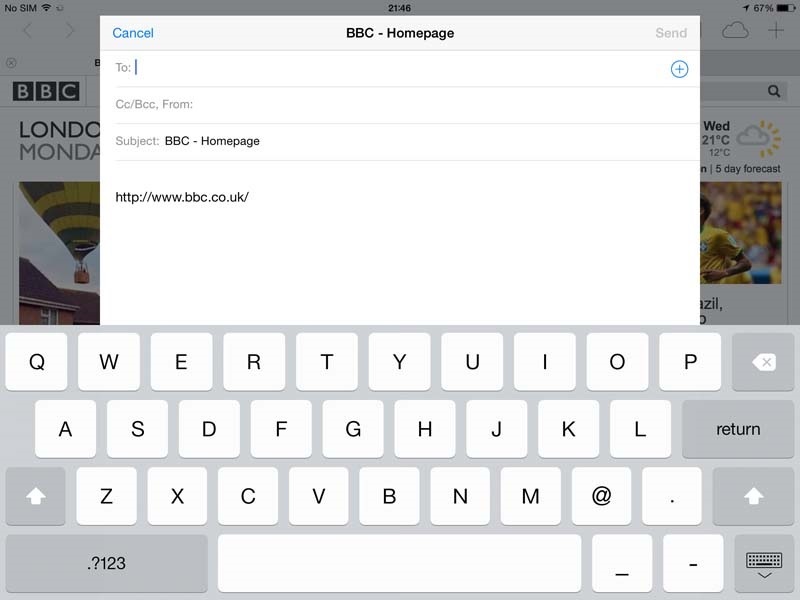 Safari is the Apple iPad web browser and it has a very smart search bar! 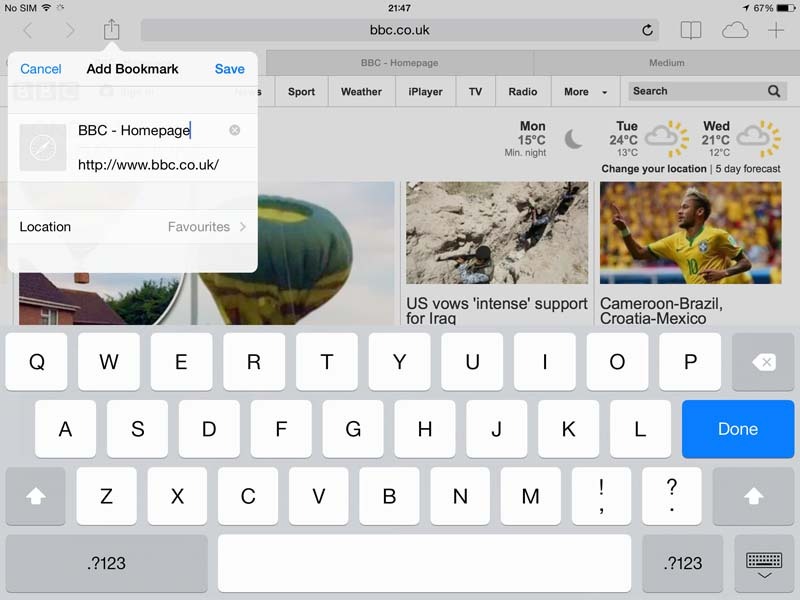 It’s never been easier to find the websites you like as well as bookmark and share them. It also provides a private browsing option and a reading list that allows you to move easily through your chosen articles. have to scroll all the way back up to the top. 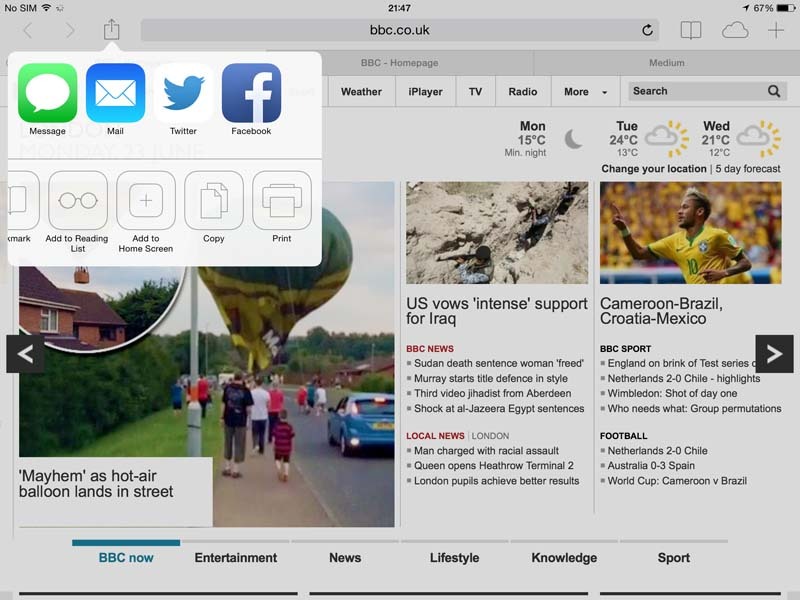 When you open Safari, it will pre-load the websites you view the most in the background to make it easier for you to find them and open them. To open private browsing, simply press private browsing:This prevents Safari from remembering every web page you look at and publishing it in your browser history, which is Safari’s default action. 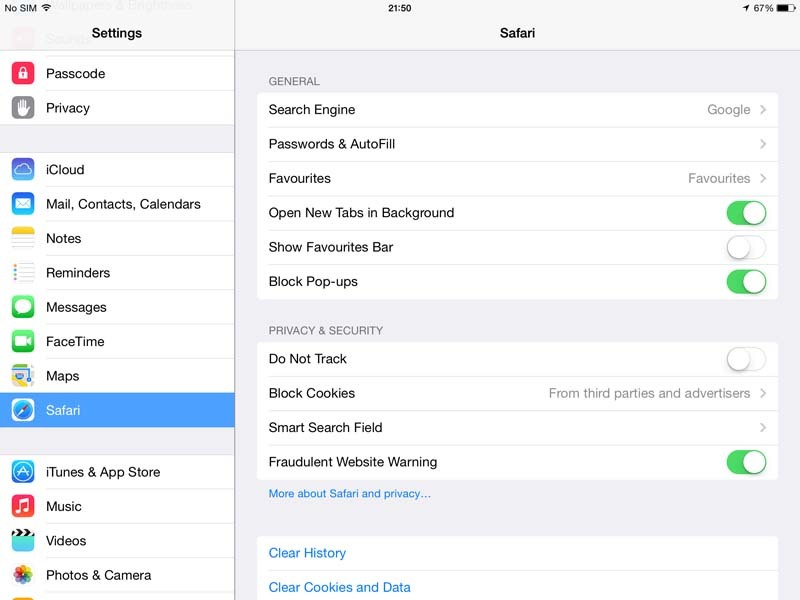 Whilst in private browsing mode you won’t get tracked by cookies, and your personal data won’t be remembered. This means you will have to fill out any online forms in their entirety from scratch. The history of your web browser is organised by day and the time of day that you viewed a certain item, ie morning or evening. The website address will be included in your history. 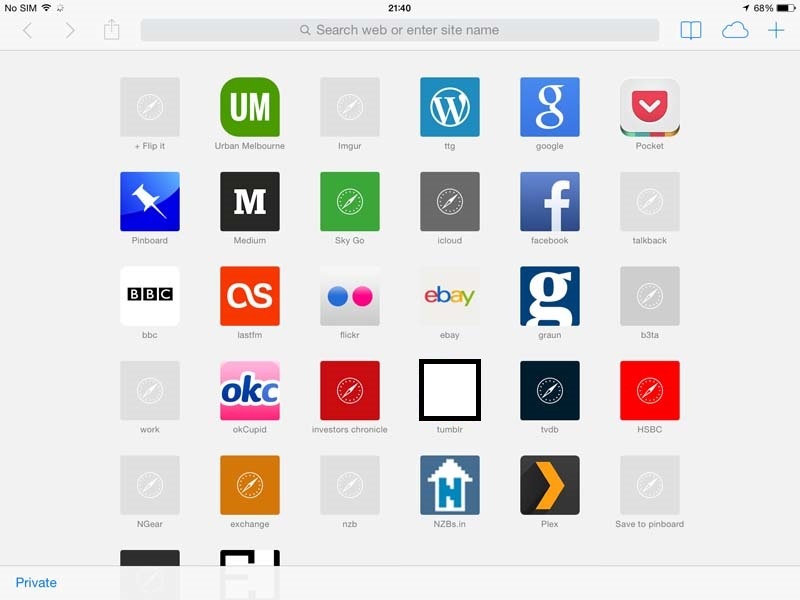 You can clear your history by pressing the settings icon on your homescreen and then “Safari”, followed by “Clear history”..
1) If you find a website that you want to copy from with a view to pasting it somewhere else, press on the button in the top left hand corner, next to the arrows. The arrows will move you backwards and forwards through the websites you have been viewing. 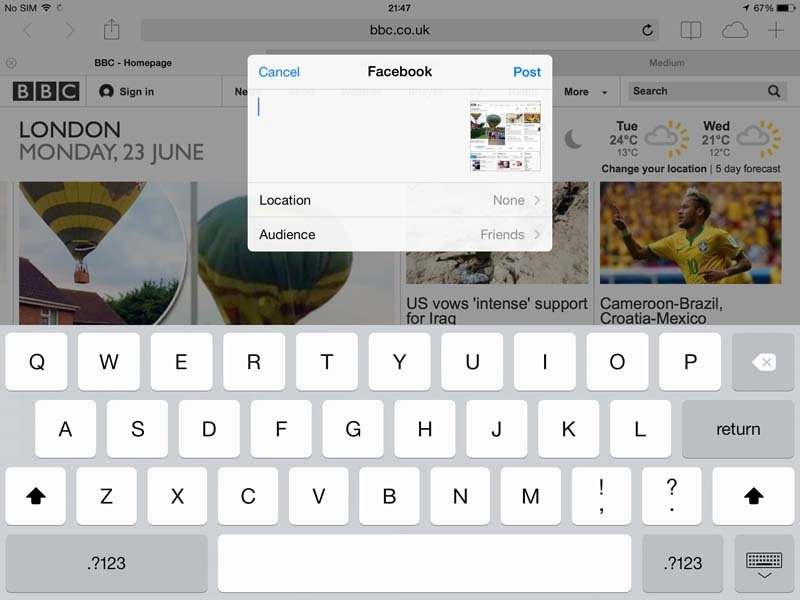 2) You can bookmark a page that you want to return to. You do this by pressing the button in the top left again and scrolling across to find the “add bookmark” command. Bookmarks that you have saved are stored in a list on the right hand side. The order of your bookmarks can be re-arranged. Press and hold to move them. 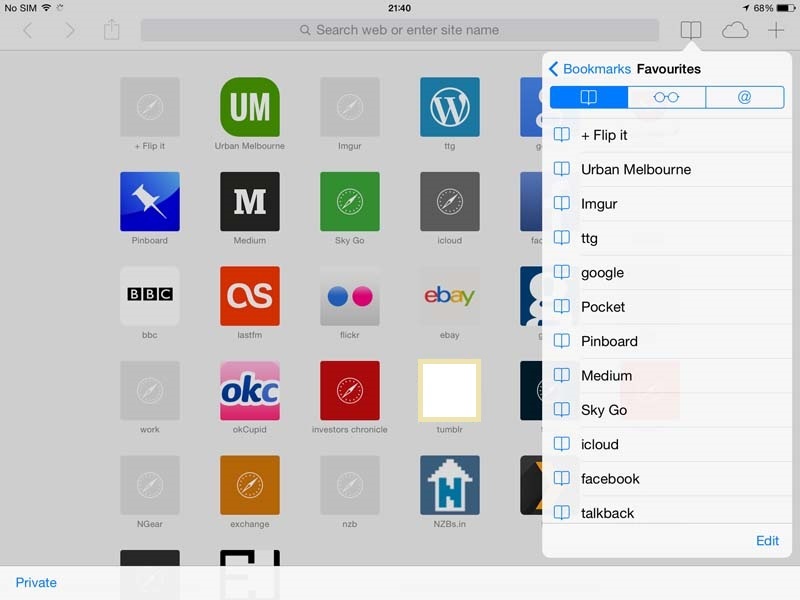 To keep your bookmarks organised, you can place them in folders. 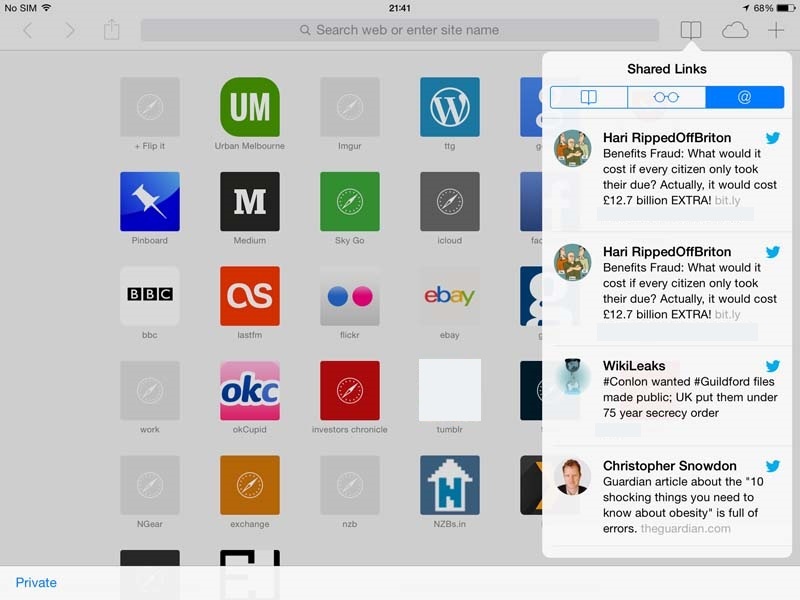 The bookmarks will be visible on every new tab you open and Safari is capable of keeping a lot of tabs open at once. The same action button in the top left will also allow you to add an article to your reading list and share your link with your social media accounts. You can see a list of links shared by people you follow on Twitter. To open the link and read it, press on it. 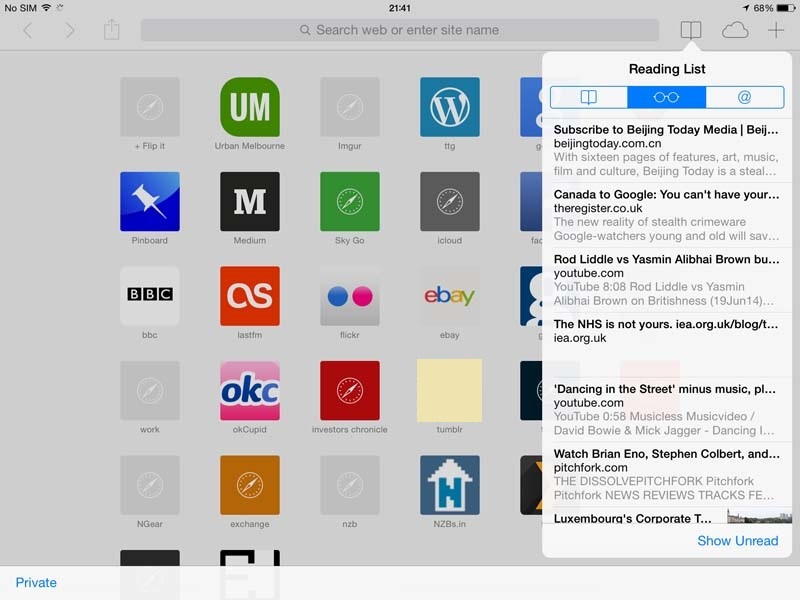 In the reading list, you can make use of an “up next” feature which allows you to scroll onto the next or previous article, rather than go back to the main reading list menu. again and choose send message.